It’s time to let the secret out- I’ve never cooked a turkey. Not for Thanksgiving, not for Christmas, not just because- never. Join us at Casa Pura Vida on our turkey cooking journey- from the selection of the turkey, the defrosting of the bird and the preparation of the meat. 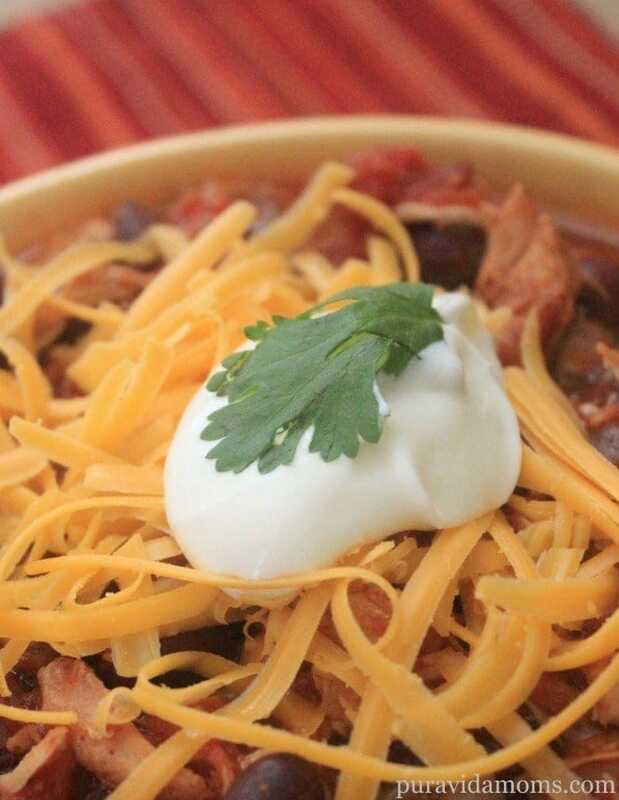 And don’t miss our easy turkey chili bar recipe at the end of the post with a simple recipe for turkey chili (have to use those leftovers, right?) and a money saving offer from Honeysuckle White Turkey. Here’s how I selected, prepared, and cooked my Honeysuckle White Fresh Whole Turkey to prepare for Thanksgiving. There are a lot of turkey options around Thanksgiving time, and I had three priorities when selecting a bird: how it was grown, price, and size. 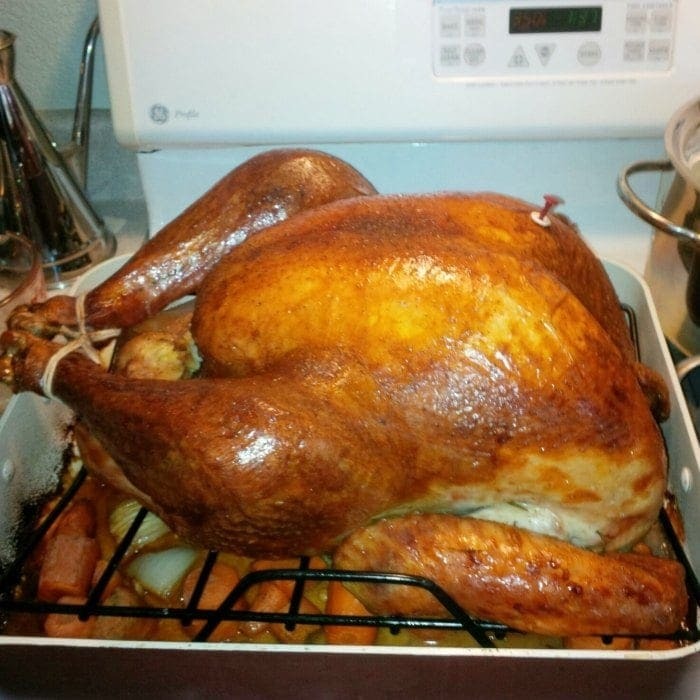 I wanted to know that the turkey that I purchased was free of hormones and extra steroids. The Honeysuckle White Fresh Whole Turkey that I purchased was raised by independent family farmers (you can meet the farmers here!) and the process of raising it was USDA certified. There are no growth promoting hormones in the bird. So- priority one was covered. Priorities 2 and 3 were also covered- I found a Honeysuckle Fresh Whole Turkey at Kroger (here in Denver I went to King Soopers) and it was on sale for $1.99 a pound. Plus there is an in-store coupon for $2 off any whole turkey through December 31. We used a 13.1 pound turkey from Honeysuckle White. It was delicious! Once the turkey was selected, I had to figure out how to defrost and cook it. I headed to Honeysuckle White’s website, where I found all kinds of tips for preparing my bird. I chose to defrost the turkey in the refrigerator over a period of days, which the website recommended. After I defrosted the turkey, I opened the package in the sink and asked me husband to remove the neck and giblets package (I wanted to want to do that part- but I didn’t actually want to). I mixed half butter, half olive oil, salt, pepper and garlic and rubbed it on the top of the skin. Here she is- ready for the oven! I put the turkey on a roasting pan with some vegetables underneath and baked it, uncovered, in the oven at 425 degrees Fahrenheit for about three hours. Honeysuckle White’s website has suggested cooking times by bird weight, and that was the suggested time for my 13 pound turkey. The pop up timer was included and I used it, but I wanted to make sure the bird was fully cooked. 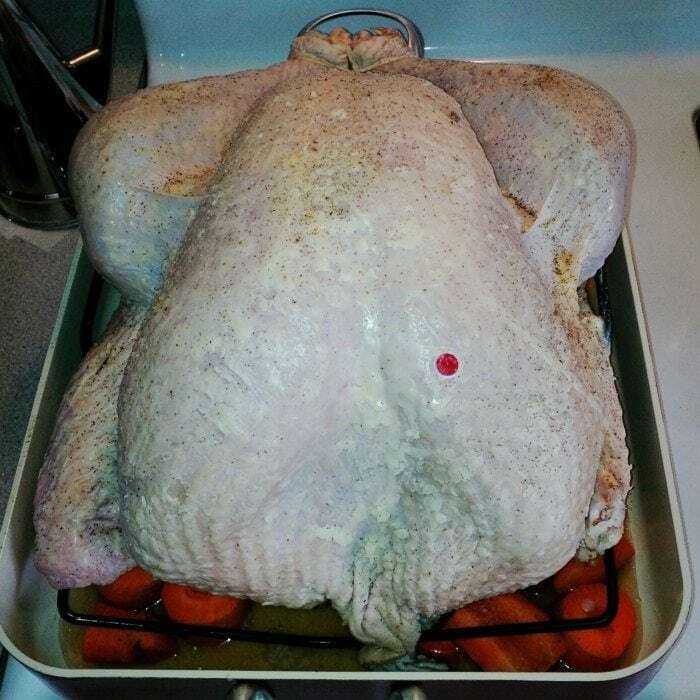 I double checked it was done by using a meat thermometer in the thickest part of the breast (about an inch from the bone) to make sure the internal temperature was at least 165 degrees Fahrenheit. After the turkey was done I pulled it from the oven and let it rest for a bit in the roasting pan before we carved the turkey, starting with the breast. I served it with mashed potatoes, gravy and green bean casserole- a nice little preview to Thanksgiving dinner. The turkey was super yummy- I could taste the difference that being hormone free made. Everyone asked for seconds- so it received the Casa Pura Vida seal of approval! Look at how golden brown it roasted up- Super yummy! 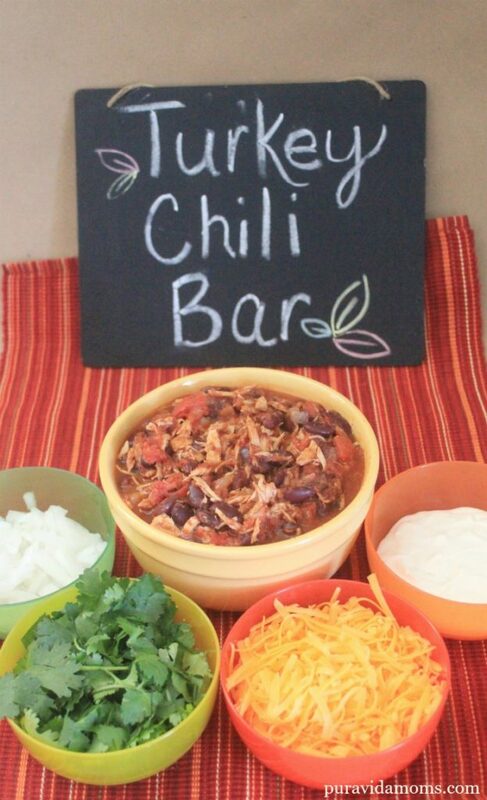 Of course we had leftovers, so for dinner the next night we had a simple turkey chili bar. 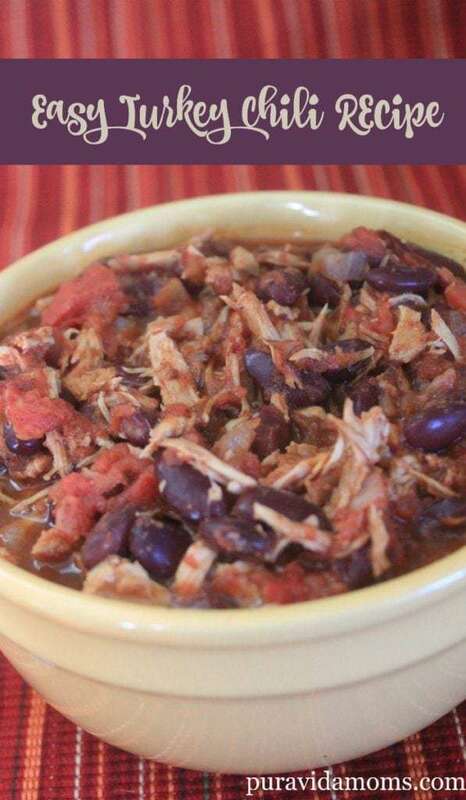 Here’s the recipe for Easy Turkey Chili- a perfect recipe for the day after Thanksgiving. Everyone can eat when they are hungry- be that during a break from football watching or after a big shopping trip. Make sure to head to your local Kroger (here’s the store locater in case you aren’t sure where yours is!) and select a Honeysuckle White Fresh Whole Turkey for your holiday celebrations – and pick up everything else you need for the recipe. 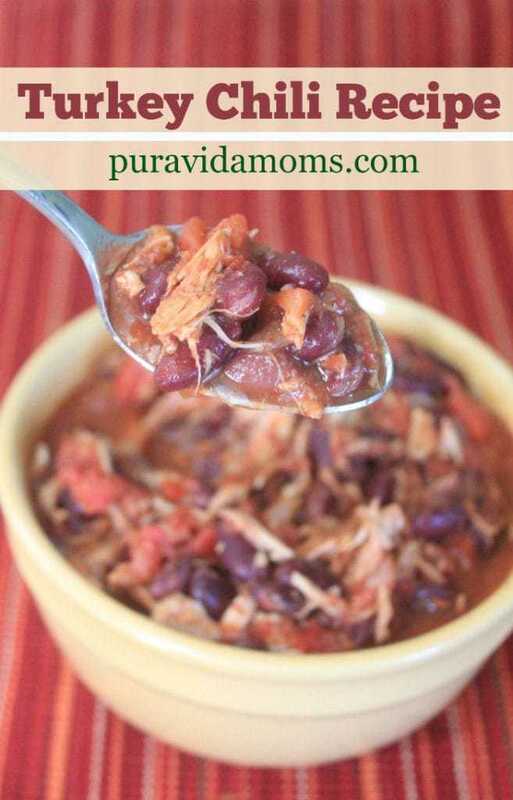 I love the Kroger brand spices and canned beans- they are a great deal! Look for the in-store coupons for $2.50 off the turkey- and feel good about the turkey that you select for your family! 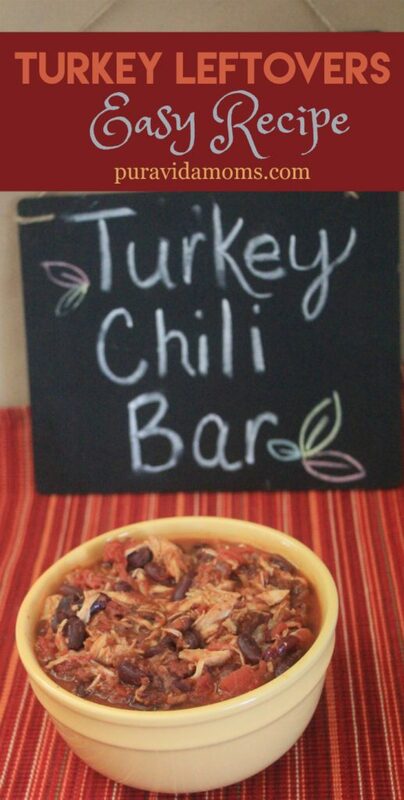 I purchased the beans and the spices when I bought my turkey too! Be sure to follow Honeysuckle White on Facebook, Pinterest and Instagram as well!